It’s summer time and one of the most often asked questions is, “Can I be in the sun after my BOTOX® treatment?” The answer is simple – yes. The sun has no effect on the deep treatment you received to your facial muscles. You can be in the sun immediately following the treatment without fear it that will affect the results. However, it is not recommended to lie down for 4 to 6 hours following a BOTOX treatment. This means going to the beach to sunbathe isn’t a good idea unless you sit in a chair. In addition to not lying down, I would like to remind everyone to use sunscreen whenever out in the sun. The sun’s ultraviolet rays are harmful to the skin. While the tan may look nice in the short term, the long-term effects of that tan are not as attractive. Sun spots, wrinkles, and even sun cancer can develop if you do not care for your skin while in the sun. Ensure that you are using a high SPF (50+) sunscreen when outside in the sun. It’s better to be overprotected than under-protected. Don’t forget to reapply regularly, too. Many people forget to do this, and end up with a sunburn just as bad as if they had never used sunscreen at all. Don't massage or rub the face for several days after BOTOX; use a spray on sunscreen. Heat exposure (such as working out or going in a sauna, hot shower, or jacuzzi) is not recommended for about 2 days after treatment. Use ice packs before and after injections to reduce swelling and bruising. Besides smoothing wrinkles, BOTOX can help those of you who struggle with excessive sweating, a medical condition called hyperhidrosis. With injections to the areas where you sweat uncontrollably, you can stop the production of sweat, thus making you much more comfortable during the summer heat. Many of my clients choose the summer to come in and have their face and body treated with BOTOX for this very reason. Since the sun doesn’t affect the treatment, there’s no cause for concern, especially if they want to go on vacation shortly after visiting me. It’s also good to know that this treatment can help some people reduce the frequency and intensity of migraine headaches. Many people suffer more from their migraines in the summer, which is why we often see an increase in clients during this season. It’s always good to know that finding migraine relief from BOTOX is a possibility. 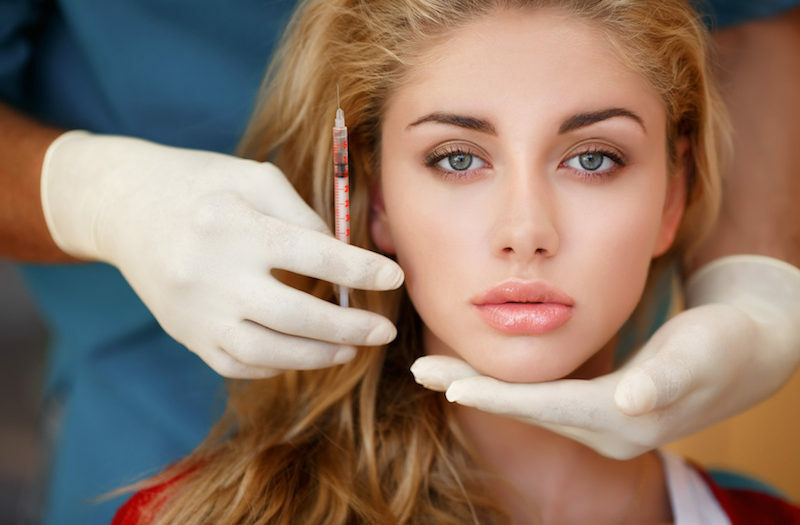 Have More Questions about BOTOX in Long Island or NYC, New York? If you have any other questions about this treatment or your care following it, contact me. I am available to provide you the answers you need for any cosmetic treatment. If you’re new to BOTOX or simply looking for someone new, I encourage you to schedule an appointment for a free consultation. I would love to discuss the power of this treatment in reducing the appearance of fine lines and wrinkles, and mitigating sweat production due to hyperhidrosis.